Educators, startup-virtual world operators and individuals looking for opportunities to create their own virtual environments have been flocking to OpenSim over the past few months. But for business customers, the growth story has been in browser-based virtual environments. The two highest-profile ones, VenueGen and Avaya’s Web.alive, reported growth numbers this week. 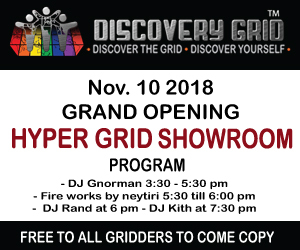 “Since our February launch, we have added well over 100 new customers,” said Deborah Kline, Avaya’s senior manager for public relations, told Hypergrid Business. They include customers who buy the $49 a month starter plan, as well as enterprises who purchase multiple concurrent licenses, she said. Altogether, the virtual meeting environment has seen “hundreds of thousands of visitors and guests for meeting, selling and learning,” she said. Avaya’s Web.alive is a platform where customers can choose from several pre-built virtual environments, or customize their own by uploading 3D models. It’s designed to integrate with corporate directories and telephone systems. One high-profile customer is Hewlett-Packard, which recently embedded the Web.alive virtual environment in its Banking Innovation Center, which offers back end systems to banks. The Web.alive platform is at the heart of the product’s Banking Virtual World, which allows bank customers to meet virtually with bank staff. Web.alive’s closest competitor is VenueGen. Unlike Web.alive, VenueGen does not allow companies to create their own environments, but offers a much bigger array of pre-built meeting venues. The company’s main selling point is ease of use and low cost. Though prices also start at $49 a month, VenueGen allows users to create unlimited simultaneous meetings, since the meeting environments are loaded only when they are needed. The environments of all other browser-based vendors are persistent. Finally, VenueGen is unique in that it allows users to quickly create avatars based on their actual photographs, which can appeal to business customers. Another new browser-based platforms, Jibe, might be familiar to Hypergrid Business readers because it’s from ReactionGrid, one of the most popular hosting providers for educational and company grids. According to ReactionGrid CEO Kyle Gomboy, the platform already has more than two dozen customers using it. In fact, one of ReactionGrid’s most high-profile partners, Microsoft, has switched over to working with Jibe, he said. Jibe is based on Unity 3D, and allows full customization of the virtual environment, as well as animations and other scripted behavior. Prices start at $47 a month. The two other major browser-based meeting platforms, Assemblive and Altadyn’s 3DXplorer, have not released their user numbers to us. The advantage of browser-based virtual environments is that users don’t need to download and learn stand-alone software, though all platforms except for 3DXplorer require a plug-in. 3DXplorer runs on Java, however, which must also be installed on the user computer. Visitors to these environments cannot edit objects, and are typically limited to a small selection of avatars, clothing options and gestures. There are no in-world currencies, groups, user inventories, or other functions of fully-developed virtual environments like Second Life or OpenSim. However, what these environments lack in functionality they more than make up for in ease of use and low costs. As a result, these platforms are increasingly gaining acceptance for delivery of e-learning such as sales training, and for small-group meetings and conferences.